Like many of you, I am beginning to think about Valentine's Day...one of my favorite holidays to be sure. I love the tradition of making and delivering valentines, eating treats and basically giving yourself the perfect excuse to express your love, admiration and appreciation to others. This year, I am trying to take a more realistic approach to valentine card preparations. 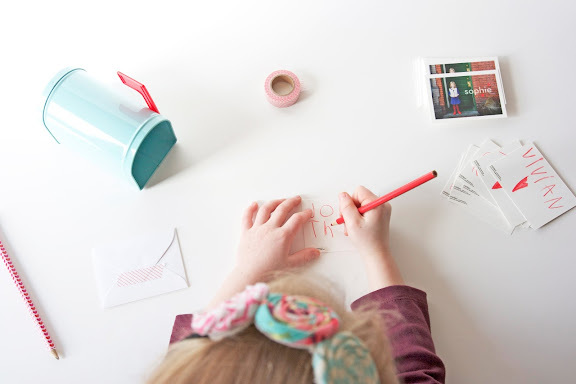 Instead of assuming my children have the capacity and interest in handmaking 30+ valentines, I am outsourcing their classroom valentines to Minted (thank you! ), which will then leave room for us to enjoy a stress-free handmade valentine session for cousins, grandparents, etc. These types of projects always seem to take longer than I anticipate. 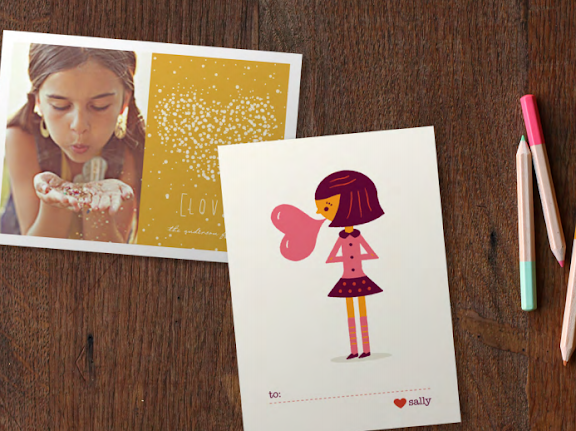 They each chose their own card style, image, color, etc., which they really appreciated. I think it made them feel sort of grown up :) It was interesting, from a parental perspective, to see how different their styles were from each other, even when it comes to stationery. When they arrived in the mail yesterday, they were so excited to see them in print. More than once my youngest daughter has asked when we can "color" the valentines. 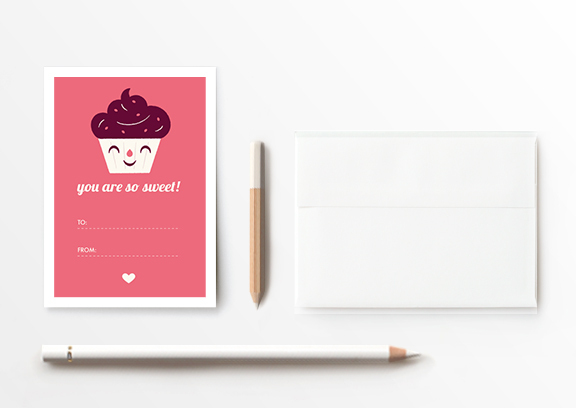 These sweetly-sized cards also come with a roll of washi tape for securing. Such a nice detail! A big batch of chocolate cupcakes with ganache and French gray sea salt may also be order...I cannot think of a friend who wouldn't love one of these decadent cakes. If cupcakes aren't your thing, perhaps baking up a pie or tart to share would be more up your alley. You can find the pie boxes in my shop and a simple DIY tutorial on making the watercolor hearts right here! 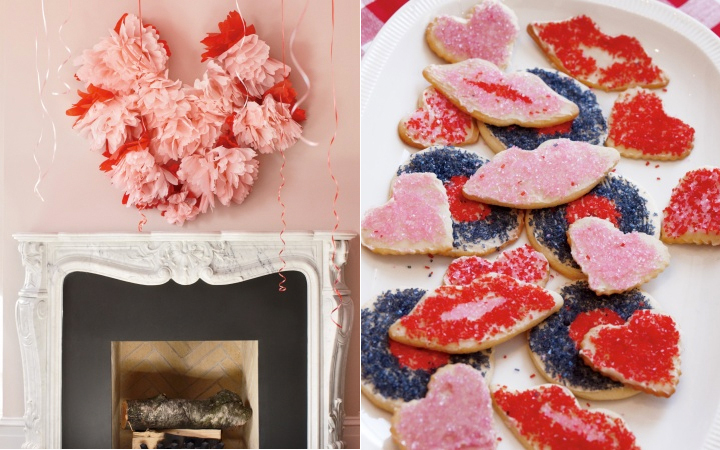 With all the restrictions on school parties these days, it might be fun to throw your own Valentine-themed fête after school. 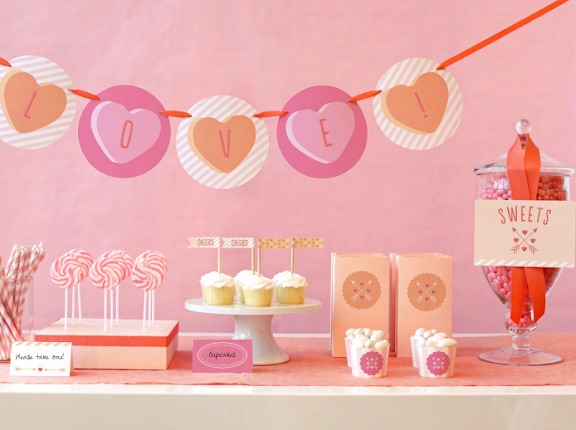 If you're feeling like simplifying and outsourcing the decor, you might appreciate one of the party kits from Minted. They look adorable. Otherwise, check out the sweet, little "sock hop" featured below. I am loving the pom pom heart and lip cookies. Everyone between the age of 2 and 80 would probably enjoy something like this, making it a super versatile theme. Last year I spotted heart-shaped junior mints at our local drugstore. Could it be, I wondered? Normally candy isn't my thing at all, but for some reason I looooove frozen junior mints. 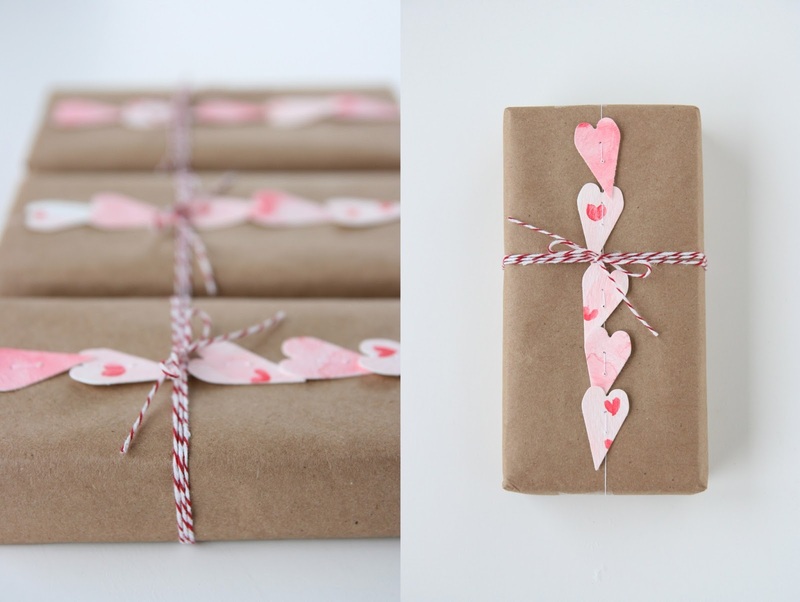 So I wrapped up these novelty junior mints in kraft brown butcher paper and adorned them with mini-garlands of watercolored hearts I made. Then, I placed them in the freezer until it was gift-giving time. Since they were wrapped up so pretty, I didn't dare try to sneak into them. This was both a good and a bad thing! 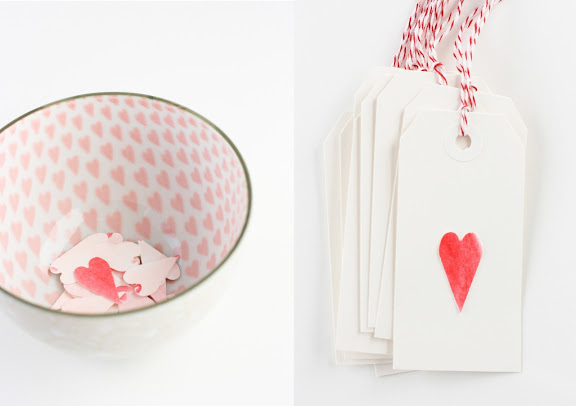 One of my bowls, from West Elm, makes the ideal vessel for some little watercolored hearts. I like just having it on the coffee table or kitchen counter for simple, decorative purposes. And last, but not least, I've been meaning to make one of these two, simple crafts with my kids for awhile now. They appear to be very simple, useful and unique! 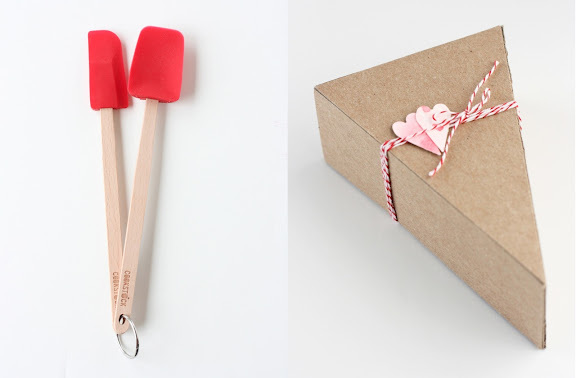 What fun projects do you have planned for Valentine's Day? I'd love to hear about your ideas too! Very sweet. I had so many cute ideas pinned, and then my six-year-old told me he just wanted blank cards so he could hand decorate each one. I was a little worried about him running out of steam, but he's still going strong and only has a few left to do! The creativity is a lot of fun, and I do appreciate Valentine's Day at least for that. Oh, and chocolate-covered strawberries. Our new family Valentine's tradition. We ordered the classroom valentines from minted, too! So darling! And I've got those heart shaped junior mints in my freezer, too. I think maybe you and I were separated at birth. Mary, that is so cute about your son. Good for him! HDH, we are on the same page aren't we? Have you seen the heart shaped junior mints yet this year? Alice, I hear you. I never liked it until I had children to be honest. They make it fun :) Before that I found it rather stressful, oddly. CMN, my mom did something like that when I was a teen and I'll never forget how special it was. Those who receive them will be lucky ducks! I bet they are so cute! Shelly, a fancy French meal? So fun! I like that idea...maybe we need to adopt that tradition as well. I am missing it so. Good idea! Steph, such a beautiful round-up!! So inspiring. Christian Louboutin is a French footwear draughtsman whose footwear has incorporated flashy, red-lacquered soles that contain behoove his signature.